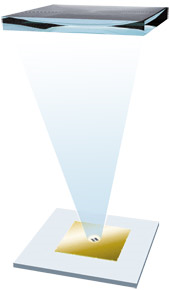 Focusing the Sun’s rays onto a piece of paper with a magnifying glass may sound as a children’s game, but it lies over the same principle that a Photovoltaic (PV) technology, which can potentially lead to produce solar electricity at the lowest price and with the least environmental impact. In order to achieve it, silicon-based-PV’s stagnated efficiency needs to be boosted and its associated costs need to be further improved. 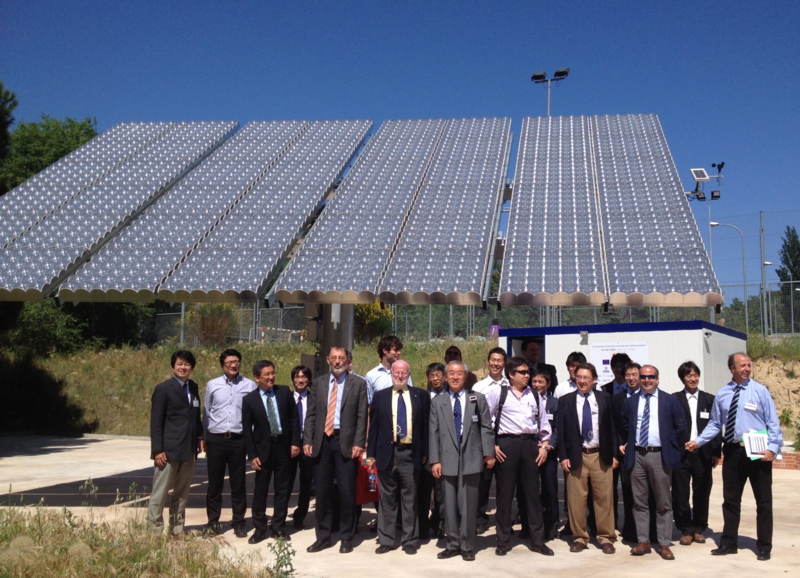 The REPHLECT initiative (Recovering Europe’s PHotovoltaic LEadership through high Concentration Technology), proposed and led by BSQ Solar, tackles both factors thanks to an innovative combination of advanced High Concentration PV (HCPV) technology and a close to the end market business model. 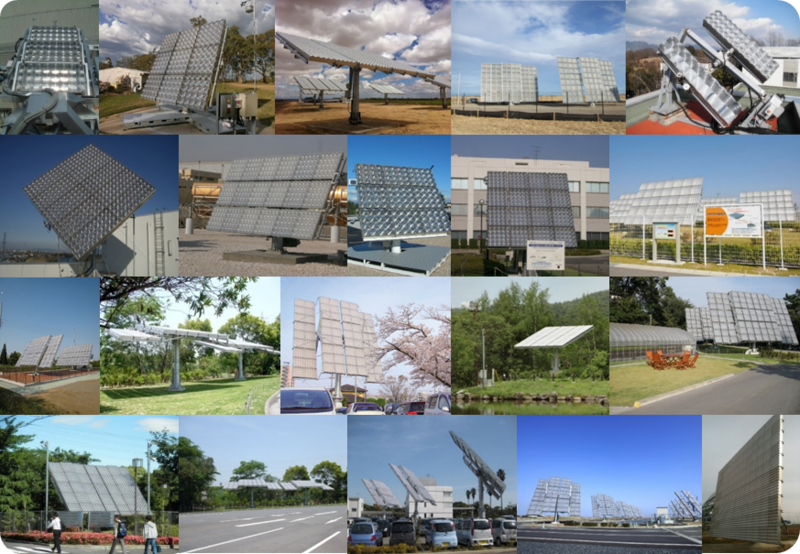 HCPV, due to its use of the very high efficiency PV cells used by space satellites, is currently the solar technology with the highest cost reduction potential (85% in the last 5 years). Furthermore, REPHLECT’s HCPV builds up on the excellent results obtained in the FP7-NEDO Euro-Japanese project NGCPV (New Generation CPV), in which concentrator cells, module and system efficiency were improved. BSQ Solar, one of NGCPV’s partners, will take a step forward by designing a module that will reach a concentration of 1000X from the 820X developed by NGCPV, and at the same time including innovative features. To reduce the associated costs, REPHLECT counts on system components that allow high-tolerance local manufacturing and will migrate assembly lines to so-called Satellite Production Centres (SPCs) located in highly irradiated areas to produce the HCPV modules close to the natural markets. 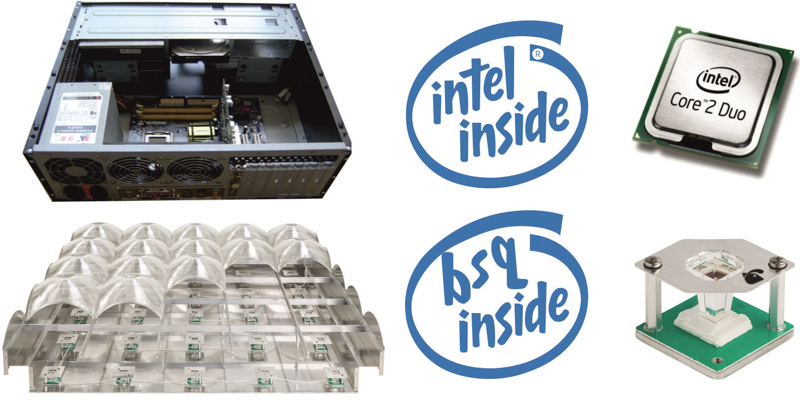 The most IP sensitive and CAPEX demanding part, the HCPV receivers, will be produced at BSQ’s factories in Spain and supplied to the SPC’s network. In other words, REPHLECT intends to replicate the white box paradigm which introduced the ultimate commoditization of the computer hardware industry, and challenge in this way the present PV industry model based on the massive use of semiconductor material and the huge centralized upscaling in state-controlled economies. The project will be piloted in-house and the assembly satellite production will be demonstrated at the University of Al Akhawayn, the most experienced research center in Morocco in the field of solar electricity systems and technologies, located in the sunny Atlas Mountains. 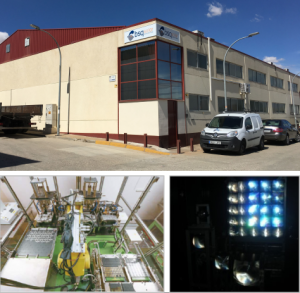 The foundations of the REPHLECT technology lie on BSQ Solar’s 820X HCPV system, which has evolved until being entirely assembled in Spain, based on mostly EU manufactured components. This product has been thoroughly tested in more than 1.5MW of demo systems and plants installed worldwide, with one of the highest reliability and performance records in the HCPV market. From this 820X system BSQ Solar intends to transition to 1000X technology, within the REPHLECT project and implementing the new SPC-based business model. This 1000X technology is to be based on the excellent results obtained in the FP7 project “NGCPV: A new generation of concentrator photovoltaic cells, modules and systems”, that among other things resulted in widely publicized world records in photovoltaic conversion efficiency: 43.5% in its second year and 44.4% achieved by the end of the project. Achievement of 35% module efficiency and 27.8% overall system efficiency. CAP (Concentration Acceptance Angle Product) world record of 0.37, resulting from a very high acceptance angle of 1.1˚ at a 1000X concentration factor. Very high irradiation uniformity on the cell. Improvement of the Performance Ratio (KWh/kWp) of the system, through the integration of newly developed heat radiation coatings to enhance thermal performance as well as silica-based lens antisoiling coating. The combination of this improvements and the well proven BSQ Solar HCPV sun tracking technology makes the REPLHECT product, one of the most efficient and reliable HCPV systems presently in the market. The People’s Republic of China path towards cheap silicon PV modules has been successful up to now. Impressive cost reductions have been achieved by Chinese manufacturers in the last decade. This to a big extent through state-funded massive investments in capacity scale-up, devised to attend unsustainable subsidized markets worldwide, this frequently resulting in oversupply and dumping. In despite of this solar PV electricity only accounts for less than 1% of the global electricity supply and a maximum penetration of 5% in the next 10 yrs. is envisioned by prospective agencies (Bloomberg New Energy Outlook, 2015). We firmly believe that an innovative combination of advanced High Concentration PV (HCPV) technology and a close to the end-market business model, has the potential to become a paradigm changer holding the promise to achieve the ultimate pervasiveness of large scale solar electricity. With its proven 18% learning rate at a systems level vs. 12% of silicon-based PV and 11% of CSP (Concentrated Solar Thermal), HCPV is currently the solar technology with the highest cost reduction potential. Furthermore, its conversion efficiency increases 1% every year with cells expected to reach 50% before 2020. This together with its best-in-class temperature coefficient and its dual axis tracking, already provides up to three times more energy per unit surface than silicon based PV in the highly sun-irradiated regions of the world. Additionally, BSQ Solar’s technology has been especially conceived for high tolerance assembly processes, both at the module and sun tracker level. This joined to the much lesser use of semiconductor solar cells in HCPV, allows the transfer of up to 80% of its production close to the end markets, and opens the path to a compelling and truly global alternative to the present Chinese-centered way of doing PV presenting superior advantages in terms of, involved logistics, local job creation, and plant construction and maintenance. To enable this vision, BSQ Solar is developing a modular low cost module assembly line, as well as the methodology for the optimal implementation of local manufacturing and supply chain, both at the module and sun tracker level. These manufacturing capabilities will be developed by the so-called Satellite Production Centers (SPCs). On the other hand, the most CAPEX demanding part, the HCPV compact receivers, containing encapsulated multi-junction high-efficiency cells and its optical coupling stage, will be produced by BSQ Solar and supplied to the SPC’s network. Ultimately, the REPHLECT business model seeks to replicate the white box paradigm which introduced the absolute commoditization of the computer hardware industry, by leveraging the solar electricity technology providing the fastest learning curve and the best-fit solution for the solar-rich regions of the world. To provide solar electricity generation with the most advanced technology, and the highest cost-reduction potential, available on the market today and to help it spread, in order to achieve scale production which can in turn result in realizing the reduction of its costs. Market entry and scaling up is to be done through a proposed new manufacturing paradigm that can pave the way for EU to recover manufacturing PV leadership. Demonstrate the migration of MAL to a first pilot Satellite Production Center (SPC). Validation of the SPC-based production scheme through the construction and performance assessment of an HCPV Pilot Power Plant (PPP) in the country of the first pilot SPC. Obtainment of Quality Certificates for the novel 1000X HCPV module and its tracking system. Obtainment of Quality Certificates regarding the RML and MAL and its processes. Obtainment of a Product Technical Due Diligence (PTDD) issued by a leading lender’s technical advisor. Develop a commercial strategy to reach Tier 1-2 Markets with in-depth and continuous analysis of market needs, requirement and regulations. To disseminate project results and techniques as widely as possible within several communities of potential stakeholders to facilitate highly efficient market replication actions. To implement the relevant guidelines that will be provided to potential business partner and policy decision makers for introduction and application of REPHLECT. To provide training to professional end-users on the REPHLECT manufacturing model.